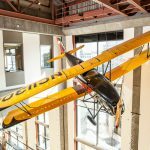 For many who visit the Grand Rapids Public Museum, meaningful, life changing moments can happen. Reed visited the Museum with his third grade class as part of the Immerse education program, and his eyes were opened to a world of possibility. Reed quickly realized that he was the class expert, and enjoyed the hands on learning opportunities the Museum provided his class with. Inspire learning in children like Reed today. Curiosity Club members have the distinction of being the GRPM’s most generous annual contributors, leading the way to sustain the Museum as an invaluable community institution. Each day the GRPM impacts the lives of our visitors through learning opportunities. Whether it’s a planetarium show or educational program, new exhibit or family event. Your Learners gift helps to provide free admission passes to low-income, under-served members of the community that might not otherwise be able to visit the Museum. 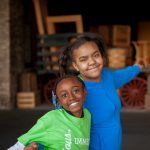 Inspire more than 1,200 students in the week long Immerse program for K-12 school students to connect the past with the present. Your Connector’s gift contributes to the support of two of the forty Immerse educational programs held during the school year. Support the installation of new exhibits that celebrate our diverse collection of artifacts and present hands-on, experiential learning. Your Presenters gift helps with the material costs of one pop-up exhibit or experience making our collection available to the community. 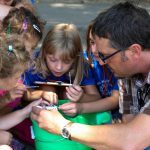 Ensure more than 100,000 children annually have the opportunity to learn about science, history and culture through interpretive programs such as teacher-led educational programs, Curiosity Labs and more. Your Interpreters gift helps to support the development and implementation of these quality programs for 1,500 children. Presenting the world beyond our own, the Roger B. Chaffee Planetarium provides over 60,000 visitors with diverse programs that explore other galaxies. Your Explorers gift makes one new show possible. 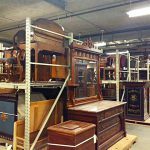 Help preserve and care for more than 250,000 artifacts in the GRPM Collections. Your Keepers gift keeps the collections storage facility operating for one week. Benefits of being a Curiosity Club member. Interested in becoming a member of the Curiosity Club? Contact Suzie Blake, Donor Relations Director, by calling 616.929.1704 or emailing her at sblake@grpm.org. The Grand Rapids Public Museum Foundation is a 501 (c) 3 organization. Your contributions are tax deductible less the fair market value of any benefits you receive.